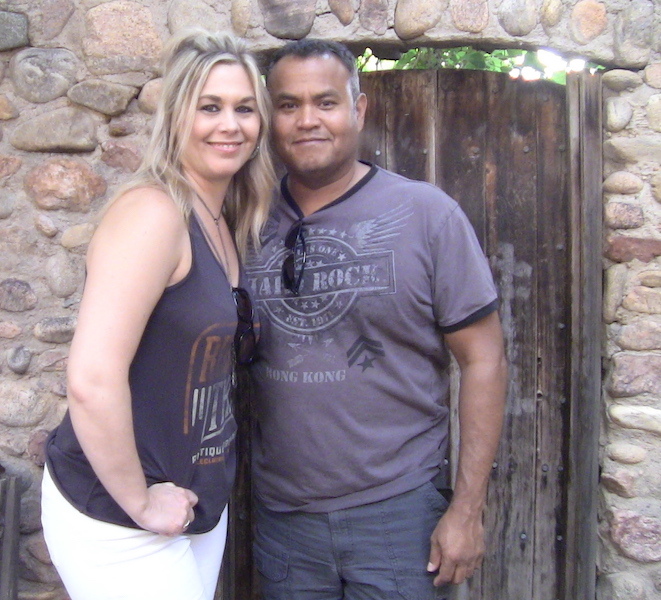 ALLAN does his best to customize your ghost tour or paranormal tour towards your interests. LETS GO ON A SPIRIT WALK!!!! Above: A lot going on in this picture -- CAN NOT ACCOUNT FOR WHAT PERSON IS LOOKING AT -- DOWN "THE BALIR WITCH PATH"… All types oe shades have been seen in this area through the centuries... The place is also used by occultists as a meeting place. NOTE THE LIGHT OVER THE SLIGHTLY CROUCHING WOMAN's HEAD. Perfect timing.… It has to be a city light or building light, IF NOT???? 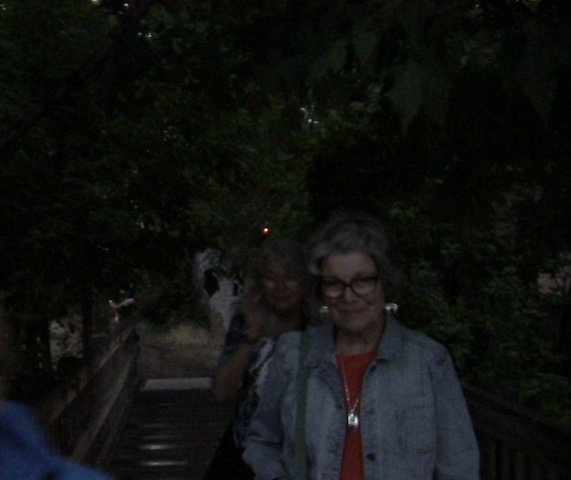 I conducted a spirit walk w/ a top notch psychic and astrologer-BORIQUA. 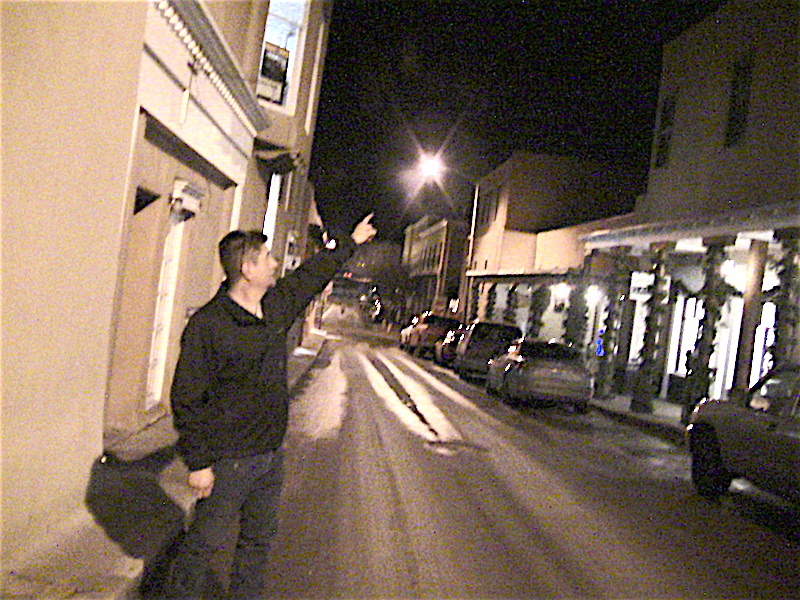 We were at different locations in SANTA FE where paranormal activity had been reported. SWAMP GAS or light reflections. 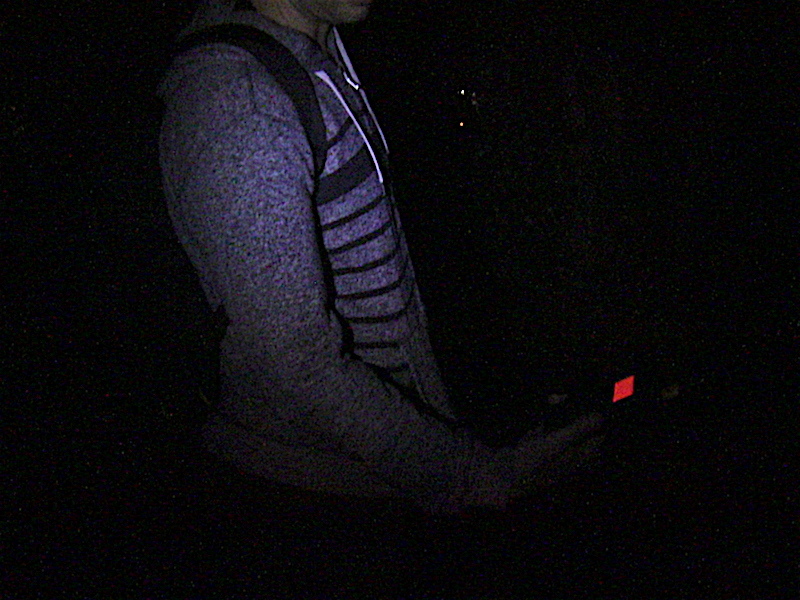 Some photos on this page +website are from that in depth ghost-walk. Can ghostly orbs be cataloged as in this is what kind of behavior it gives off by way of its color? Maybe--- I am still trying to figure things out---and like a lot of things in the paranormal world--- there is disinformation out there and contradictory data. So go figure when it comes to globulars. 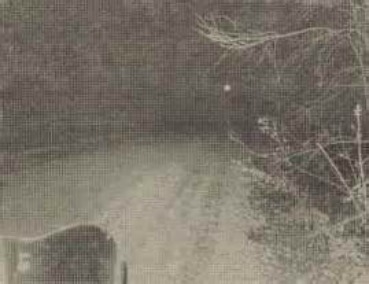 White ghost-orbs or tricks of light? 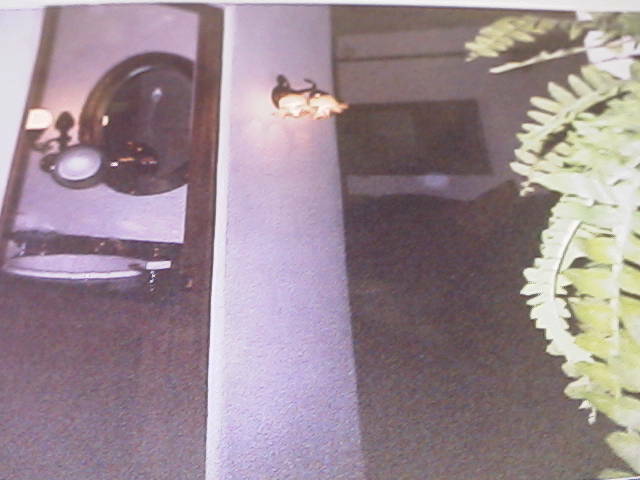 In the far room under a painting + bathroom are there orbs or ghostly energies? This photo was taken on tour in the parlor room of the Julia Schuster Staab's SUITE. The photo was taken BEFORE REMODELING. That may or may not mean something? This room is located at La Posada Resort in Santa Fe, New Mexico. Julia frequently haunts this parlor room, along with her bathroom and bedroom area. In May of 1896, Julia was done in, (Mayhem-murder), in this suite. 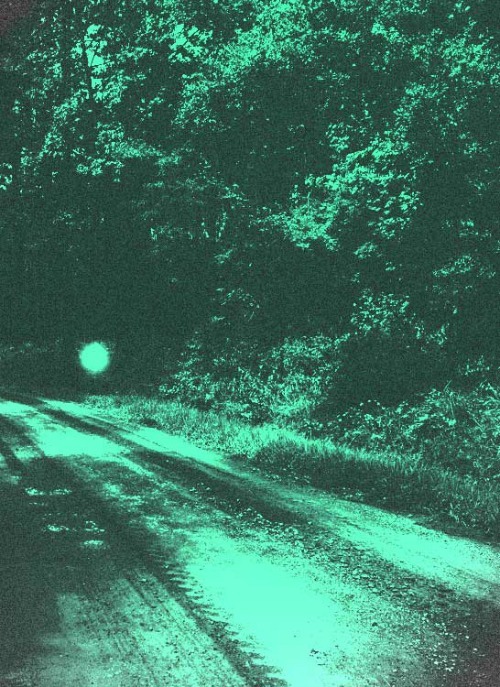 It there are globulars - white or transparent orbs in picture, what does it mean? Or are the skeptics correct- what is on film is a dust speck. A ghost orb? Ghost light/ Devil Light? This photo captures something, note the small globular on the roof. 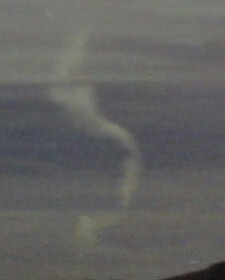 Debunkers will claim it is a dust particle---well maybe it is----HOWEVER! 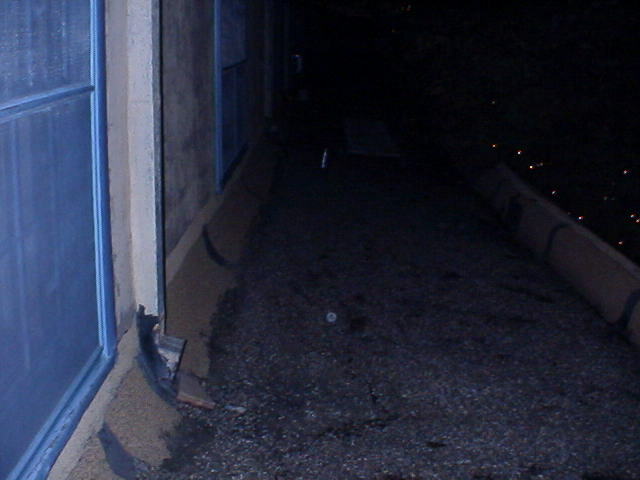 There was a lot of paranormal + instrumental activity the night this photo was taken. I do not go much for ghost meters---but a lot of things happened that nigh when this picture was shot. A camera was knocked out of the hands of an investigator. Skeptics will say, "BUTTERFINGERS". Legend has it, the 2nd floor of CASA SENA, is where Jose Sena's ghost is sometimes heard or seen. CONFIRMATION -- a ghost has been seen on this FLOOR! This is where this photo was taken on second floor overlooking the courtyard. Supposedly near the camera position are one of two rooms of where Sena of WILD WEST days supposedly expired. Historians and lore can not agree on the correct room. According to lore, SENA was cursed many times, by many people, for the many bad things he did. It is a fact Sena was a bad powerful man who held power in Santa Fe during cowboy days. Above on a Halloween tour, bring your camera -- DON't POINT -- SHOOT PICTURES! Below there was something --- an orb with what looks like a sour face! Notice the activity infront and close to Saturnelia Noxlux. Orange + light Globular and haze. 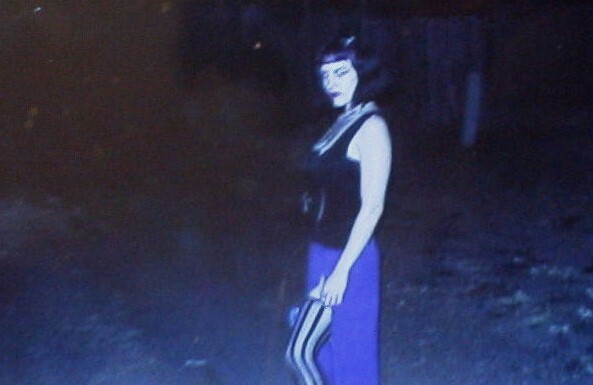 Skeptics will say, it is dust on the camera, reflections, etc..
Saturnelia, was in a graveyard, she felt energy around her, this photo was taken. Saturnelia (Goth Princess-weekends) questions the unknown, and has fun while doing investigating. Abandoned St. VIncent's Hospital (SANTA FE). 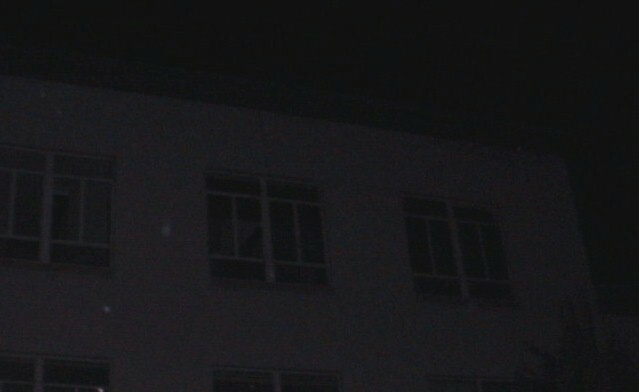 The old building is supposed to be haunted, note the orbs, look hard. To the SKEPTICS, forget about the picture --- however--- this building is haunted. 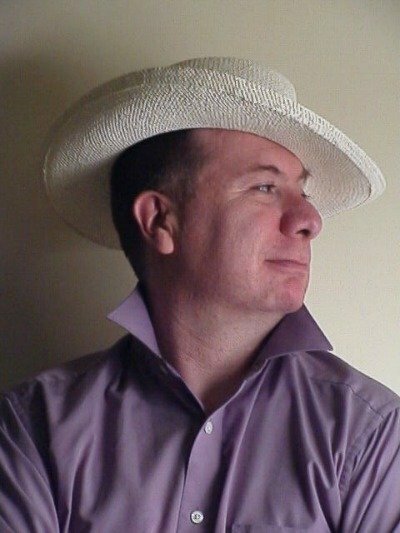 Now comes the NAY OR YEA part--- because a lot has happened since ALLAN took that photo ages ago. The question is-- did the gutting of the old hospital structure-- chase off or free the ghosts or energies that were seen repeatedly through the decades at the old abandoned hospital? TIME WILL TELL---- about the old property. 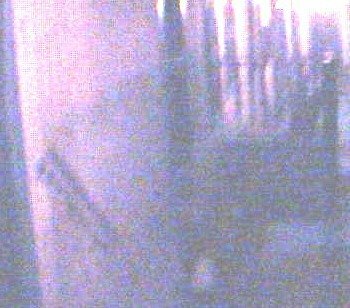 LEFT photo from a zillion years ago----An orb, near abandoned, haunted, ST. Vincent's Hospital--the globular is agains ST. Francis Cathedral. Debunkers will claim that orbs are camera malfunctions, pollen on the lens part of leaf, etc… I am sure that a lot of orbs are just that-- misidentified objects on film, but some are --- not dust particles! They are energy that at times, these energies tease those that try to photograph them. Some weird beards claim orbs or globulars do not like being detected by electronic disturbance field meter. 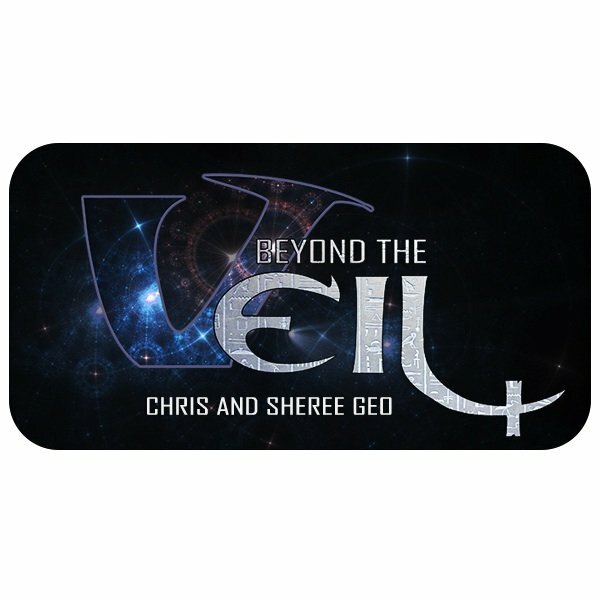 When ghosts, orbs, are detected they vanish. Some weird beards claim orbs are moving portals or keyholes to other dimensions or worlds. Then again, if these orbs come in contact with a human does that person vanish? Wink, wink! A daft thought, or a possibility? 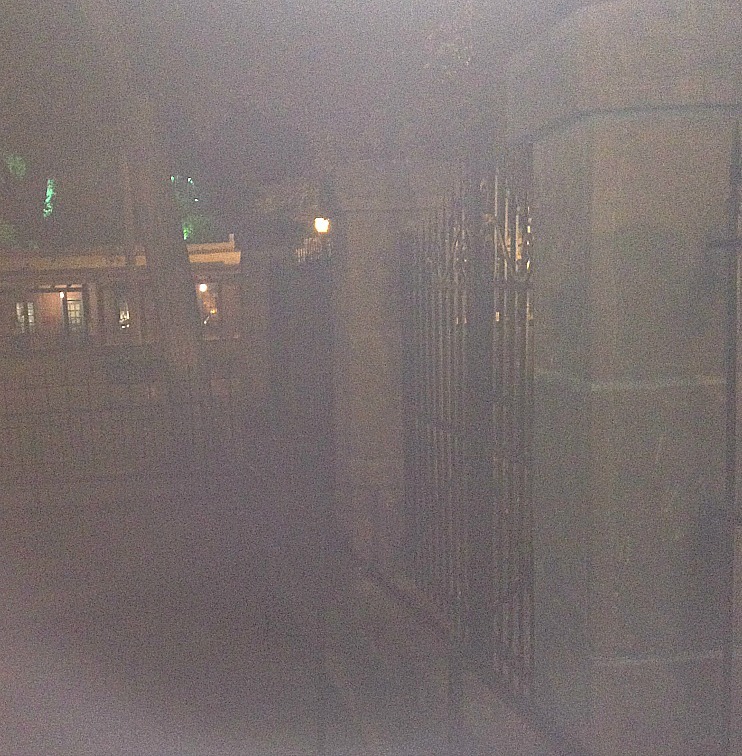 BELOW---- LEFT--- This photo was taken on private tour, the area behind the wall is where a graveyard was located --the cemetery is roughly against the North side of Santa Fe's Cathedral-- or adjacent to the high wall area of the above photo ---where orbs have been occasionally seen and photographed. This photo-- is it Light refraction that makes for such a foggy looking photo? Some Weird Beards think that there is an energy at the bottom of the photo, that has the makings of an orb. What gets ALLAN is that there was no fog that night, and the photo looks so dark or misty. The photo ALLAN can not explain-- because this camera ( a lady's camera who was on the tour) worked great before and after the private tour passed this location. Is it all a trick of light, however when ALLAN;s group was in this area that is known at night for having occasional orb or haunting activity, the place got very cold. This building in Santa Fe, is supposedly haunted + loaded w/ energies. 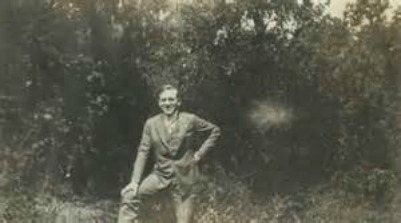 Globulars to shadowy-ghostly like figures are supposedly seen in the area. 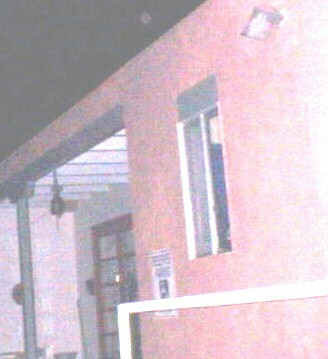 Above the roof is a bad picture of a orb or of a dust particle or insect in the light. More research has got to be done on the area's history. What happened here? To slow on the draw with the camera. There was something atop the beam, but all that I got was that ectoplasmic mist. 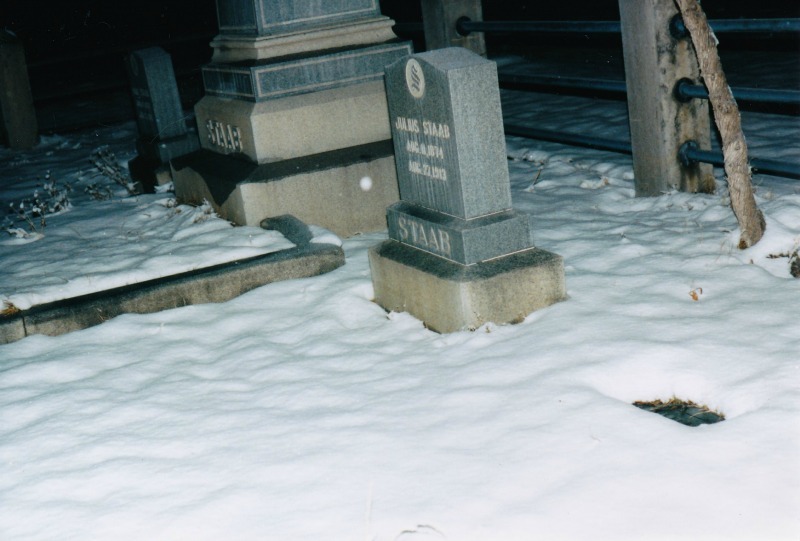 LOOK CLOSELY, ARE THOSE ORBS -AROUND THE STAAB MONUMENT-GRAVESITE. THIS PHOTO WAS TAKEN ON A WINTER NIGHT_ AROUND 2AM. 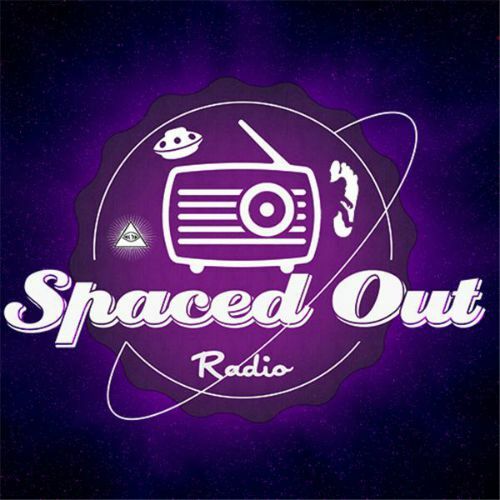 To see if cold temperature had an effect on paranormal activity -- Allan and a world renown psychic went out on an investigation. This photo has some oddities for as cold as it was-- the stone markers had no snow, it had melted previously and one can see the water lines, yet it was below freezing. 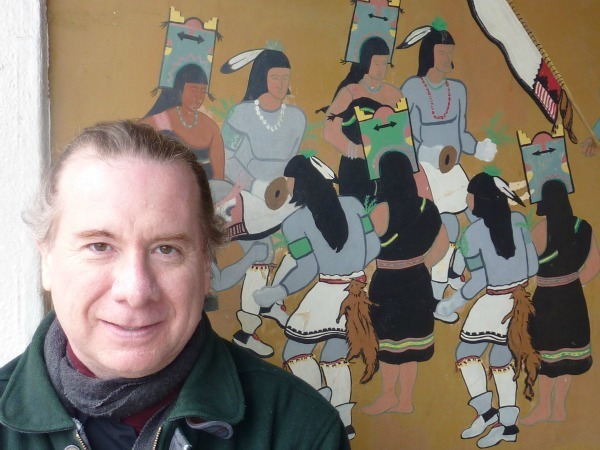 RESERVE A GHOST WALK OR A HISTORY TOUR WITH ALLAN = 505-986-5002 OR 505-231-1336. 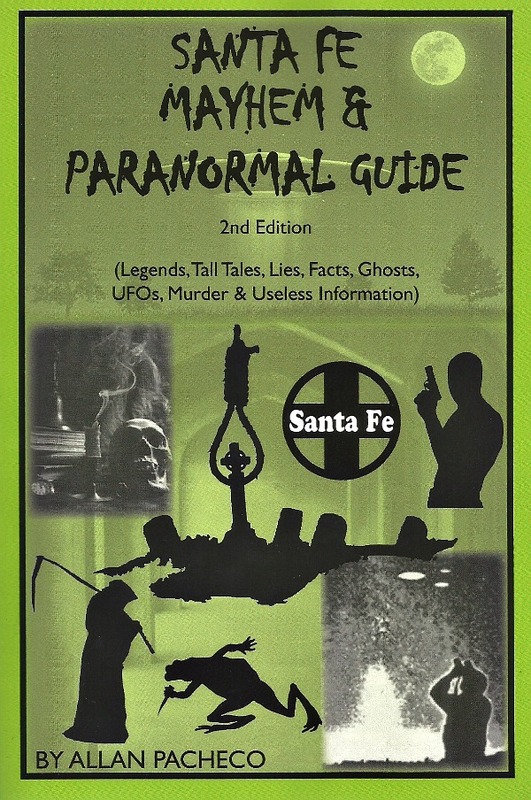 SANTA FE GHOST & HISTORY TOURS ARE PRIVATE WALKS, DONE AT A COMFORTABLE PACE. 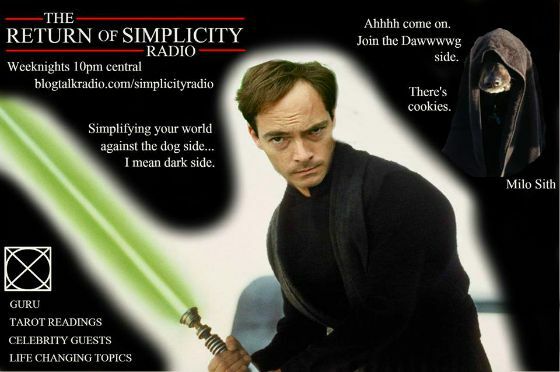 IF YOU LIKE THIS SITE-- YOU WILL DIG THE FOLLOWING BOOK! 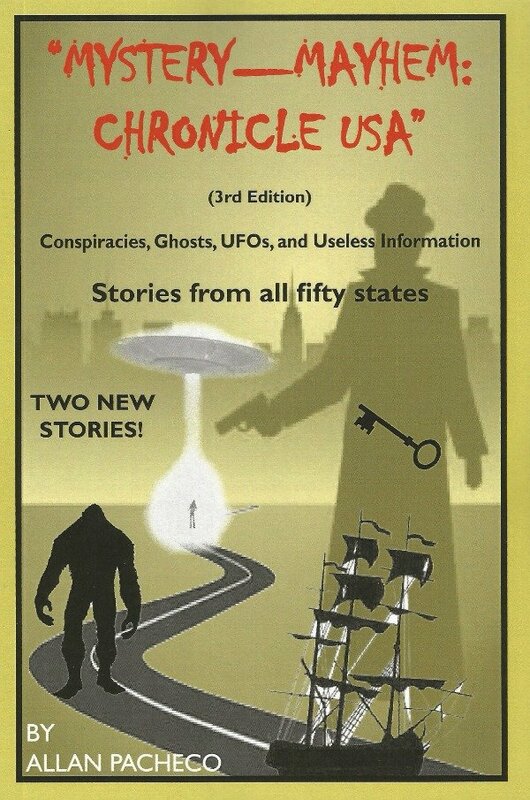 "MYSTERY-MAYHEM: CHRONICLE USA" THE BOOK IS FILLED WITH PARANORMAL--MACABRE TALES & CONSPIRACY YARNS. 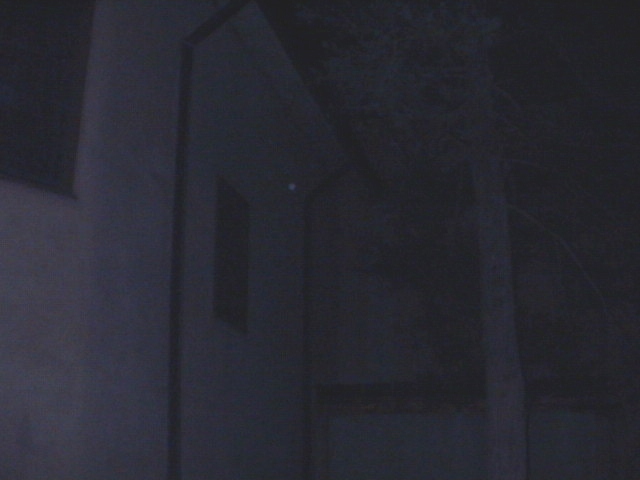 ORBS--- OR SPOOK LIGHTS. NOBODY IS FLASHING A LIGHT. ARE THESE -- PORTALS --- TO WHERE? OR JUST ENERGY BURSTS? NO, THE ORBS IN THE ABOVE PICTURES ARE NOT BALL LIGHTENING! 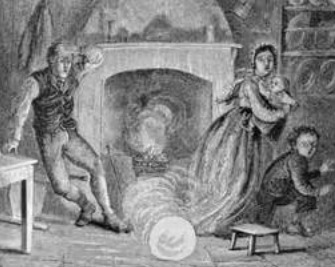 AND FRIGHTENED A 1839 FAMILY. 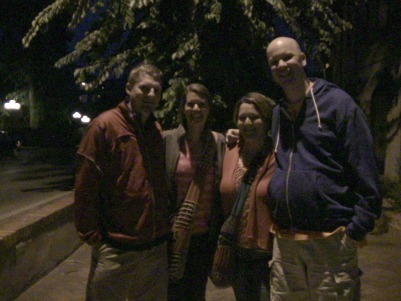 Night or day --year round----- tour Santa Fe with ALLAN--- his private treks wind through Santa Fe's old town. 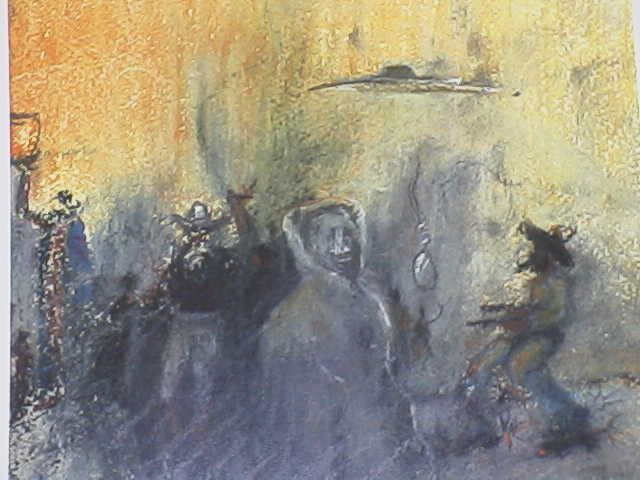 Above: Happy duo on tour with ALLAN at a haunted Wild West location. The area has been discovered by witches -- and occultists. 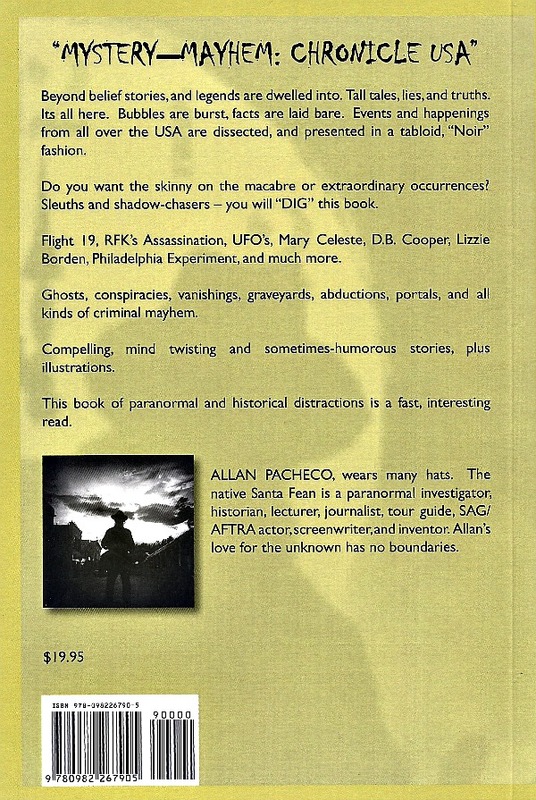 Below: sometimes things get wild there -- paranormal style! 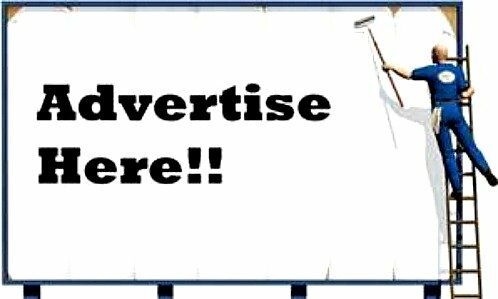 Ghostometer contact!!! 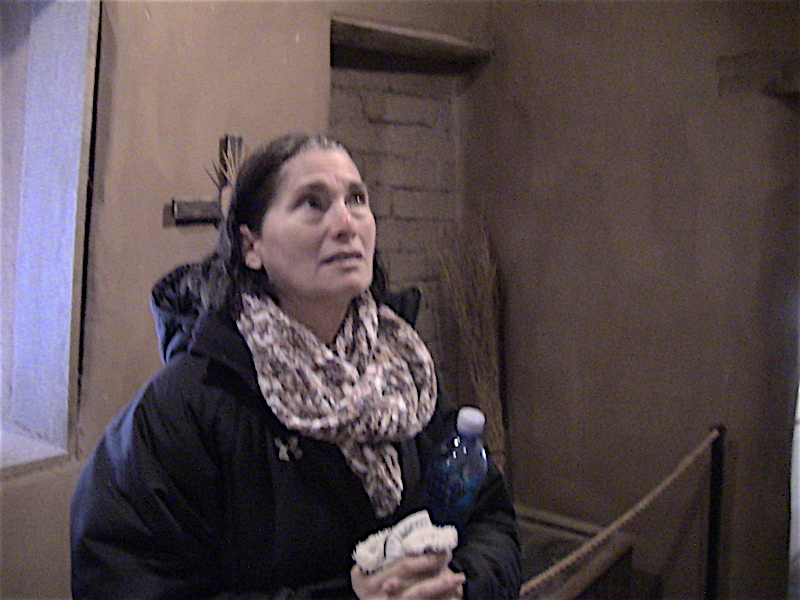 On occasion orbs have been photographed inside this room at the haunted OLDEST HOUSE in the USA -- this lady sensed something -- look at how heer face is masked in apprehension or terror; 505-986-5002 tour. 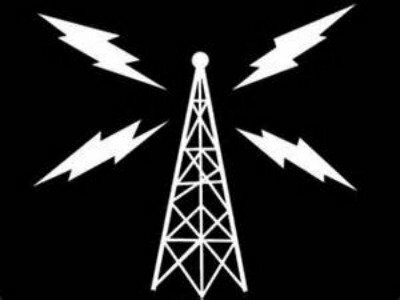 505-986-5002 =PRIVATE HISTORY OR PARANORMAL TOUR //////// 505-231-1336 -------------------------------------------- OR HIRE ALLAN FOR YOUR RADIO SHOW--------------- --------------------------------------------------------BELOW LEFT----SOME OF THE SHOWS ALLAN HAS BEEN ON----------------------------------ALLAN IS NEVER BORING & THE TOPICS ARE ALWAYS INTERESTING!!! ------------------------ GHOSTS------------------------INVESTIGATIONS-----------------------------------HAUNTED HOUSES---------------------------------GHOST TREKS----------------------------THE MACABRE-----------------------------------UNSOLVED MYSTERIES-------------------------UFOS----------------------------------------------THE MISSING---------------------------------------------CONSPIRACIES------------------------CLOSE CALLS---------------------------TALES FROM HIS TOURS----------------------& USELESS INFORMATION -----------------------------------FROM THE ALLAN PACHECO FILES!!! !